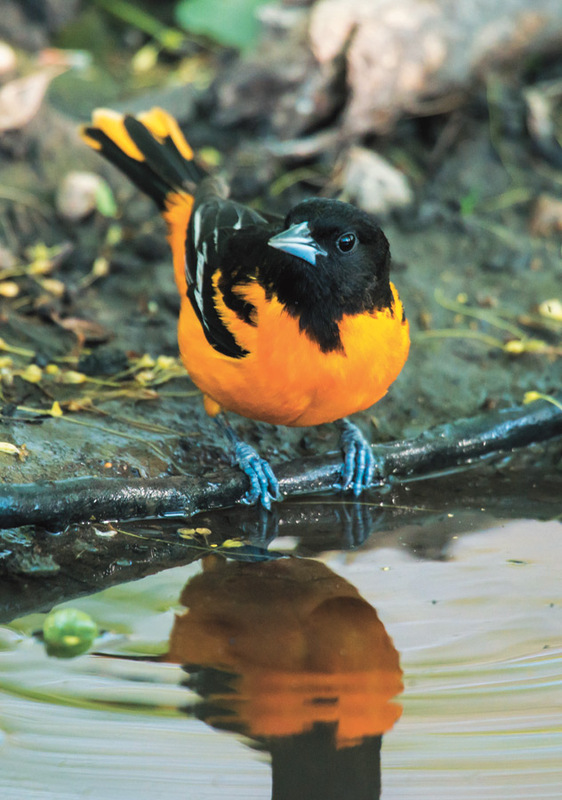 You’ll likely hear the beautiful songs of the Baltimore oriole (Icterus galbula) before you see the bird itself—they prefer to stay in treetops, where they flit about hunting insects. But they also dine on nectar and ripe fruit, so you might draw them closer with plantings of berries and nectar-rich flowers or with strategically placed orange slices. 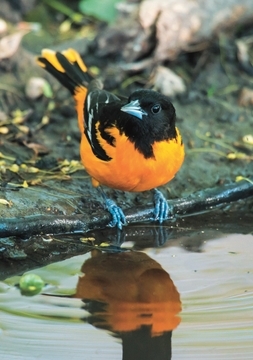 Each spring these birds migrate to eastern and central North America from their wintering grounds as far south as Colombia. They take their name from Lord Baltimore (1605–1675), the early English governor of Maryland, whose heraldic crest held the same bright orange and black colors.